If you dream of being listed in the best online IT service providers, then this IT Company WordPress theme is all that you need to make that dream come true. 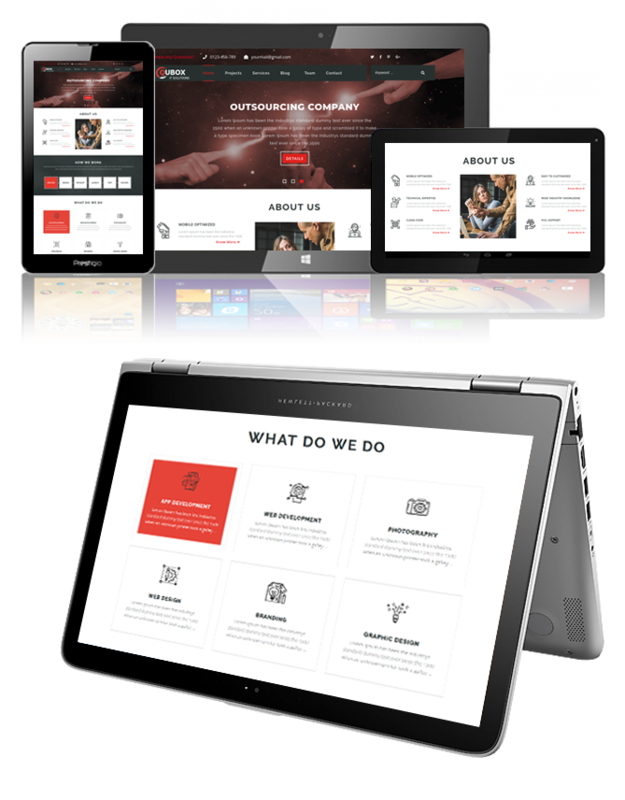 This professional looking, stunning, powerful, bold and robust theme is suitable for IT start-ups, tech-savvy companies, IT firms and businesses, digital agencies and similar technology centred websites and businesses. This IT Company WP theme offers so many options for layouts of header, footer, sidebars, blogs and pages that your website will stand different from your rival’s and will always be two steps ahead in creativity and gorgeous looks with unlimited colours and Google fonts making your work all the more easy. The IT Company WordPress theme looks amazing on all devices with its responsive layout and loads smoothly on different browsing platforms. It is multilingual and supports RTL writing. An easily understandable theme customizer provides effortless customization right at your fingertips for changing background, colours, menu, header, footer, logo and many other elements. It supports various post formats like image, gallery, video, links etc. to not limit you in any way. It has all the purpose-oriented sections like testimonial section, newsletter area, gallery, recent IT news and others with a hide and show button on each one of them. With this premium IT Company WordPress theme comes easy and free access to customer support and theme updates.